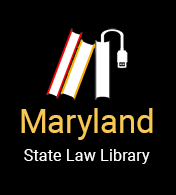 If your Maryland Driver's license was lost or stolen, you may obtain a duplicate license online or at a Motor Vehicle Administration (MVA) Kiosk. It is important to replace your license if you plan on driving. Driving without a driver's license is a crime, which carries a fine. To apply online or at a MVA Kiosk, you will need your Driver’s License number, Date of Birth, and the last four digits of your Social Security number or your MVA PIN number. The cost for a duplicate license is $20. You should receive your license in the mail to your address on file within 4-6 business days. The Post Office will not forward MVA mail. The MVA employee will verify your documentation, collect the $20 fee, and issue your duplicate license. Hint: Visit the MVA in the middle of the week and in the middle of the month. They are much less busy at those times.